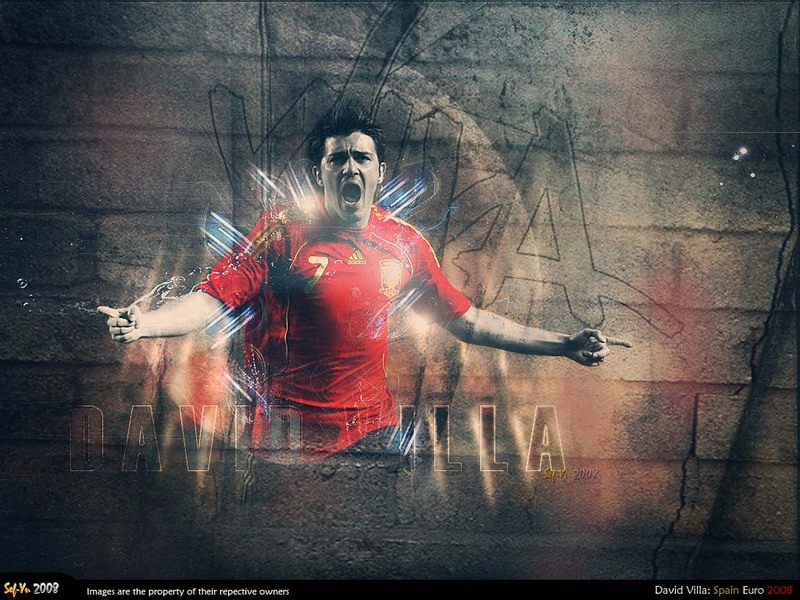 Early career Born in the Asturias region in Northern Spain. His profesional career was put in jeopardy at the age of 9 when he suffered a severe fracture to his femur, but thanks to a non invasive approach he was able to make a complete recovery. he got his professional breakthrough at his local club Sporting de Gij�n, for whom he made his first-team debut in the 2000�01 season. The next season he was a first team regular, scoring 18 league goals, and scored 20 the next season. After over 50 goals in just three seasons at Gij�n, he got his chance in Spain's top-flight La Liga, when promoted Real Zaragoza bought him in the summer of 2003. He had no trouble adapting to the step up in class and scored 17 times in his first season at Zaragoza. 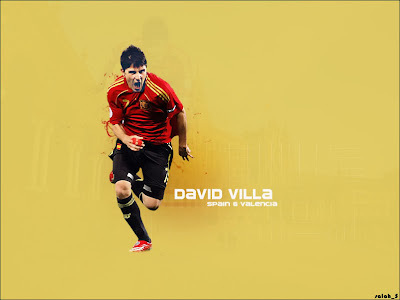 Villa led Zaragoza to a Copa del Rey victory scoring a crucial goal against Real Madrid. 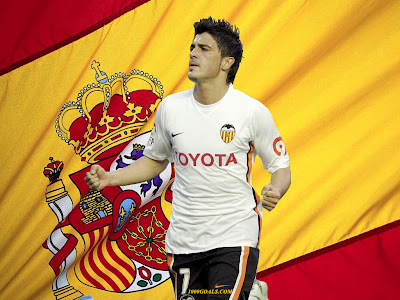 Soon after he earned his first international call-up and cap, Valencia decided to take a chance on him and parted with �12 million (�8.2 million) to secure his services in the summer of 2005. Villa has a wife, Patricia and a daughter Zaida, and they reside in Valencia, Spain. Valencia In the 2005-06 season, he scored 25 goals in 35 league matches for Valencia, to finish 1 goal behind the league's top scorer Samuel Eto'o of Barcelona. He scored his first hat-trick for Valencia against Athletic Bilbao on the 23 April 2006. 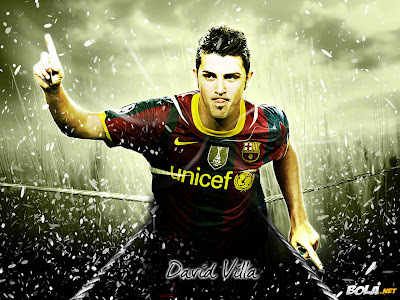 Villa managed the hat trick in just over 5 minutes (80th to the 85th minute) making it one of the quickest hat-tricks ever recorded. 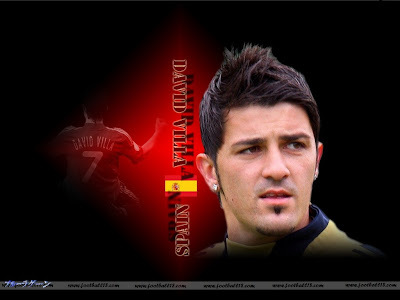 Villa's form continued into the 2006�07 season, with the striker forming a prolific partnership up front with former Real Madrid star Fernando Morientes. Together, Villa and Morientes netted around 40 goals in all competitions, and also ousted Ra�l Gonz�lez from the Spanish national squad. He scored a free kick goal in the 2nd round of the Champions League against Inter Milan which helped lead Valencia through to the quarter finals where they eventually lost to Chelsea FC. On his 100th league appearance for Valencia, Villa scored a hat-trick against Levante; his 54th, 55th and 56th league goals for the club. Another two goals on the final day of the season against Atletico Madrid meant he finished the season with 18 league goals from 27 games. In 2007-2008 he also won his first trophy with Valencia, winning the Copa del Rey, beating FC Barcelona in the semi-finals and then 3-1 v Getafe CF in the final.